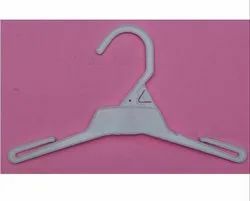 We are a leading Exporter of 467- top plastic hanger, shirt hangers, outerwear hangers, rl-42 outerwear hanger, outerwear plastic hangers and heavy duty outerwear hangers from Tiruppur, India. 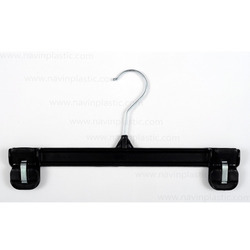 Our company has gained immense accolades in the field of offering Shirt Hangers to the clients. 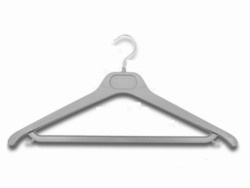 Our company is highly esteemed in offering Outerwear Hangers to the clients. 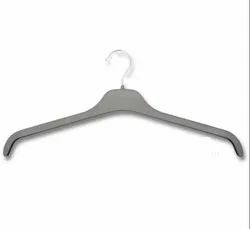 Outerwear Plastic Hangers are manufactured under the guidance of dexterous professionals by making use of premium quality raw material and ultra-modern methodologies at high-end manufacturing unit. Offered range is available to clients in various specifications to fulfill various needs. These products are stringently checked by the quality auditors on well defined parameters so as to make sure flawlessness and defect free delivery. 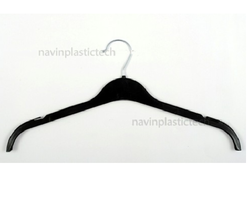 Our company has achieved milestone in offering Outerwear Plastic Hangers to the clients. Outerwear Hangers are made using premium grade raw material and sophisticated technology and machine at unit under the professional guidance and supervision. Offered range is used in various places to meet the demands of variegated clients. These products are packed in special packaging material in order to ensure safe delivery at the clients' premises. Offered range is widely appreciated by clients for owning superb attributes. 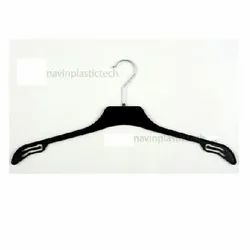 Our company has set benchmark in offering Heavy Duty Outerwear Hangers to the clients. Heavy Duty Outwear Hangers are manufactured by deft professionals by making use of premium quality raw material and advanced technology. These products are widely demanded by valuable clients owing to glossy finish and beautiful looks. Offered range has been checked on various levels of quality at premise. Looking for Outerwear Hangers ?